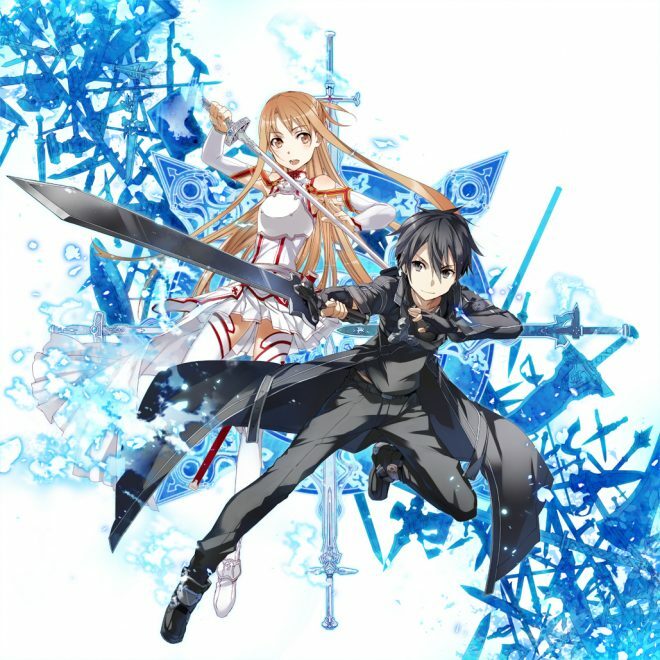 Cerevo Inc., an Internet connected consumer electronics manufacturer headquartered in Tokyo, Japan, announces that it has developed an officially licensed smart toy “1/1 scale ELUCIDATOR”, which faithfully reproduces the one-handed sword appearing in the hit anime “SWORD ART ONLINE”. Prototypes will be exhibited at CES 2018 which runs from 9th to 12nd January 2018 in Las Vegas, Nevada, United States. ELUCIDATOR is scheduled to be available for purchase in mid 2018. 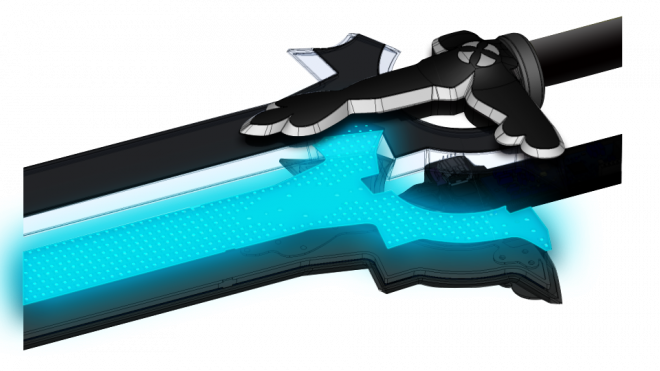 Cerevo focused on popular swords in the fictitious world of animation and movies to develop the “BLADEM (connected BLAde Development and Evaluation Module)” platform, which can reproduce, as a smart toy, swords appearing in various works. As the first product from the BLADEM platform, Cerevo developed an authentic 1/1 reproduction of the one-handed sword “Elucidator” wielded by the main character, Kirito from Sword Art Online. As well as exactly reproducing the appearance of the sword, dazzling light is emitted when the owner wields the blade. 1/1 ELUCIDATOR also uses additional leading-edge technology, such as voice recognition and motion detection to draw you into the original world. The entire surface of the sword is covered with over 2,000 high brightness, full color LEDs to reproduce the dazzling and brilliant blade from the animation. An internal 6-axis sensor (acceleration, angular velocity) detects sword movement as the sword shines and emits sounds from the built-in speaker according to how it is wielded and swung. The speakers are audible not only to the user but also to the surrounding audience. The LEDs are controlled independently by multiple lighting drivers, so not only does the whole blade glow, but also light can flow from the hilt towards the cutting edge. You can activate effects such as “Starburst Stream”, one of Kirito’s sword skills, and change the way the sword shines and sounds. When specific action is taken by the user, the sound effects of “Starburst Stream” are continuously emitted according to movement and with the last swing, sounds of enemies being defeated can be heard. You can experience the feeling of wielding the blade, with vocalization, movement, and sound interacting, far beyond what is possible with normal toys. 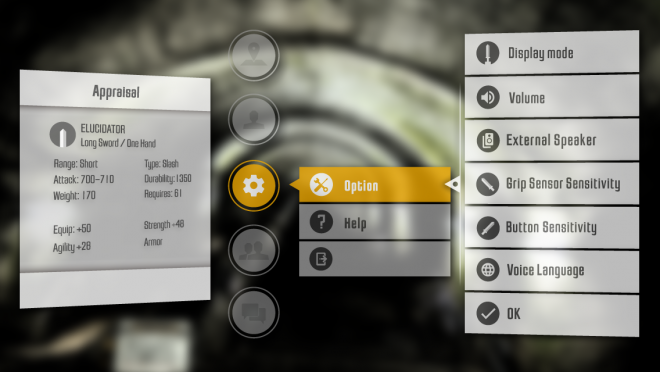 Various settings can be changed from a connected smartphone (via Wi-Fi). Sound effects linked to sword movements can also be played from smartphones. Switching the speaker output to your smartphone and further connecting to an external speaker makes it possible to produce loud sounds from the sword even in places where the surroundings are noisy, like cosplay events. Cerevo plans on producing a series of smart toys which adopt the BLADEM platform in the future, Cerevo will also welcome consultation requests for product development using BLADEM. Basic functions such as smartphone connectivity and a 6-axis sensor can be integrated, customization such as changing LED configurations according to the world view of individual original titles or mounting a touch sensor are also possible. Specifications *Subject to change during development.